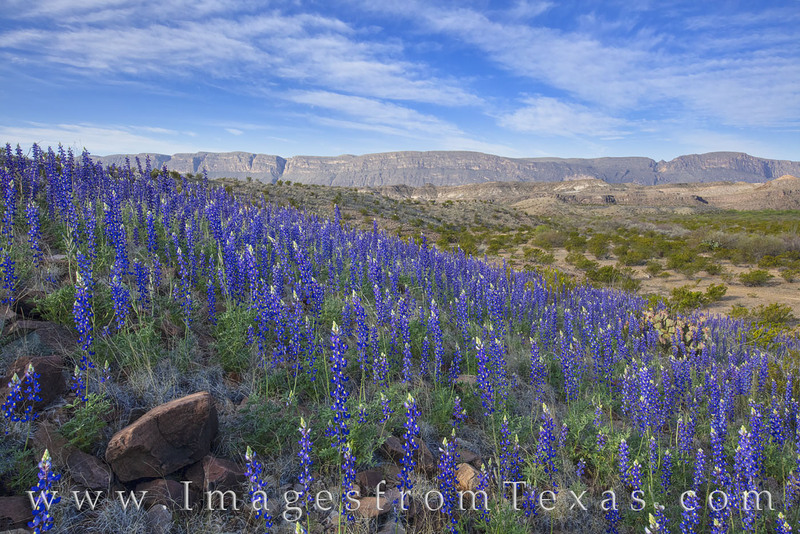 On a cool March morning, bluebonnets fill the slopes of the southwestern Chisos Mountains in Big Bend National Park. In the distance, the cliffs of Mexico can be seen rising into the blue sky. Miles and miles of bluebonnets were everywhere along River Road West, on of the rough 4WD roads in the park, but the bumps were worth it to see such a beautiful sight. Photo © copyright by Rob Greebon.